Yoshida is Hiramaru Kazuya's editor. He tells the chief-editor in the meeting about his genius, which led to Hiramaru's serialization. He is able to ignore Hiramaru's personality. He is also a Captain, meaning he gets to sit in the serialization meetings and lead the other editors in his team, like Yamahisa. Yoshida is perhaps the most manipulative of the editors shown. 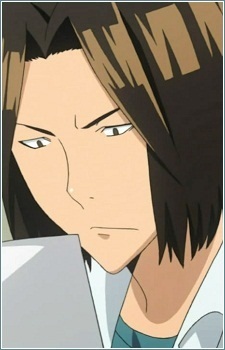 When he realizes that forcing Hiramaru to work isn't applicable to an efficient and/or long-running series, he bribes him with rich items or information about Aoki Ko in order to get him back to work and pay off the debts he owes for buying such items. Yoshida is able to keep this running for an extended period of time (throughout the 200 chapters of Otters 11), even threatening Hiramaru with disassociation with Shueisha if he does not get serialized again after Otters 11 gets canceled. Yoshida's reason and rationality are even more key to his character. He is able to deduce that Niizuma Eiji was responsible for +Natural's artwork and worries that Hiramaru's manga will take a dive if he asks Aoki Ko out and gets rejected, knowing that Hiramaru most probably will get rejected. This reasoning has its limits, however, as Yoshida was greatly surprised that Aoki accepted Hiramaru's proposal, though it would later scratch away most of Hiramaru's negativity and cause a dive in his manga quality.